Oh, Volkswagen. Volkswagen, Volkswagen, Volkswagen. What’s up? Look, you’ve been caught. That means coming clean with everything. It’s just going to be worse if the EPA or anyone finds more defeat devices, you know, like suspicious coding in the engine controls. Just fess up already, to everything. 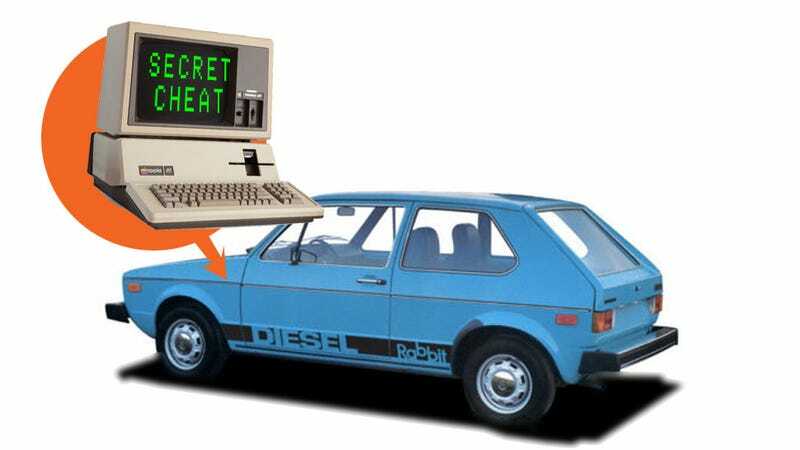 The recently discovered second (probable) defeat device is a string of computer code that runs on the same engine control computers as the now well-known defeat device found on VW’s EA 189 diesel engines. The EPA is currently investigating the recently-revealed code to determine if it does, in fact, contain code designed to fool EPA emissions tests. Okay, so that’s not exactly true, that code or our mole. But the rest is all true, though I’m sure VW wishes it wasn’t. If this new code turns out to be another defeat device, Volkswagen will also be guilty of failing to disclose the information, though it’s hard to see how much more boned they can really be.